The management of pediatric headache often includes lifestyle modification counseling, pain relief with over-the-counter medications or triptans, and measures to avoid medication overuse. The management of pediatric headache often includes lifestyle modification counseling, pain relief with over-the-counter medications or triptans, and measures to avoid medication overuse. However, the available therapies have proven ineffective for some patients who may have chronic, treatment-refractory headache. 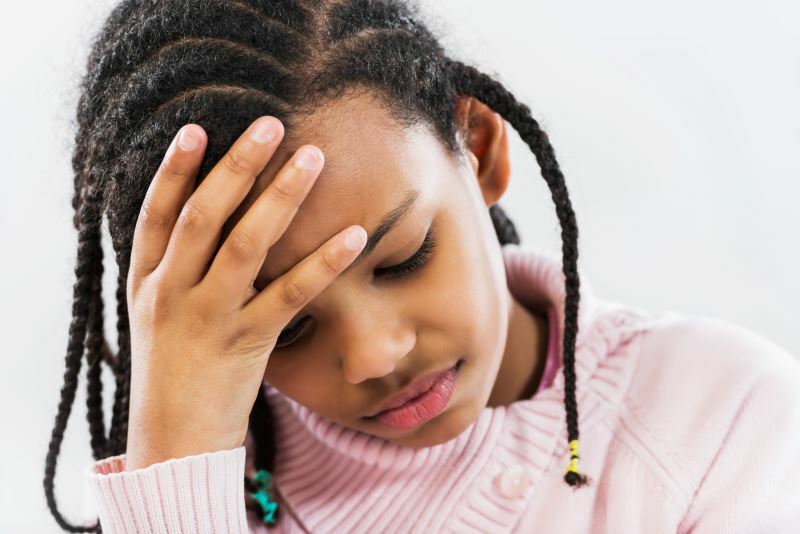 “Seeing children and adolescents [who have] hard to treat acute and chronic headaches is difficult,” said Alexander Sasha Dubrovsky, MDCM, MSc, FRCPC, a pediatric emergency medicine physician at the Montreal Children’s Hospital in Quebec. “Peripheral nerve blocks of the scalp — especially greater occipital nerve blocks — offer physicians one additional tool in their armamentarium to help provide relief,” he told Clinical Pain Advisor. Results of studies that met inclusion criteria (ie, studies that included original data, focused on a pediatric population, and involved the use of nerve blocks for headache treatment in human subjects) are summarized below. A retrospective chart review (n=40) published in 2014 reported outcomes of 40 patients with daily persistent headaches or chronic migraine who received unilateral occipital nerve block using 2% lidocaine and methylprednisolone.3 More than half of patients benefited from the treatment, and 28% showed significant benefit (improvement lasting >1 month, with reduction in headache frequency, duration, and intensity by at least one-third). Treatment effects lasted up to 16 weeks (mean, 5.4 weeks). A conference abstract reported on the use of bilateral occipital nerve blocks using bupivacaine and methylprednisolone in 38 teen girls with chronic daily headaches and fibromyalgia.4 In this study, improvement in pain and function was observed in 61% and 76% of patients at 2 weeks and 2 months posttreatment, respectively. In a retrospective cohort study conducted by Dr Dubrovsky and colleagues, occipital nerve block with 2% lidocaine was performed in 28 children with posttraumatic headaches.6 The researchers found that 93% of patients demonstrated “good” therapeutic effect (ie, lasting >24 hours), and 71% reported complete resolution of headaches. In comparison, in a group of patients who received intravenous metoclopramide prior to receiving the nerve block, complete resolution was reported by only 32% of patients. Findings from a 2014 study indicate that 64% of teenage patients (n=14) with postconcussion syndrome and chronic headaches experienced a reduction in headache frequency of at least 50% following greater occipital nerve block with lidocaine and triamcinolone.7 In addition, the mean headache frequency decreased from 26 days to 17 days per month. Wöber-Bingöl C. Epidemiology of migraine and headache in children and adolescents. Curr Pain Headache Rep. 2013; 17(6):341. Dubrovsky AS. Nerve blocks in pediatric and adolescent headache disorders. Curr Pain Headache Rep. 2017; 21(12):50. Gelfand AA, Reider AC, Goadsby PJ. Outcomes of greater occipital nerve injections in pediatric patients with chronic primary headache disorders. Pediatr Neurol. 2014;50(2):135-139. Lacey DJ. Efficacy of greater occipital nerve blocks (ONBs) in the treatment of chronic daily headaches (CDH) in adolescent females with fibromyalgia. Presented at: American Headache Society 56th Annual Scientific Meeting; June 26-29, 2014; Los Angeles, CA. Abstract P30. Renaudon-Smith ETC, Toolis C, Goadsby PJ, Prabhakar P. Greater occipital nerve injection (GONI) for chronic headache in children. Presented at: 2nd European Headache and Migraine Trust International Congress; October 28-31, 2010; Nice, France. Abstract 317..
Dubrovsky AS, Friedman D, Kocilowicz H. Pediatric post-traumatic headaches and peripheral nerve blocks of the scalp: a case series and patient satisfaction survey. Headache. 2014; 54(5):878-887. Seeger TA, Orr S, Bodell L, Lockyer L, Rajapakse T, Barlow KM. Occipital nerve blocks for pediatric posttraumatic headache: a case series. J Child Neurol. 2015; 30(9):1142-1146. Zaremski JL, Hurley RW, Herman D, Bauer RM, Ahn AH. Occipital neuralgia blockade as a treatment after concussions. A case series. Presented at: American Academy of Physical Medicine and Rehabilitation 2014 Annual Assembly; November 13-16, 2014; San Diego, CA. Poster 182.